And have you ever wondered why some of your blog posts struggle to get even a few visitors? Blogging has swept the web like some enormous creative tsunami. It’s reshaped the way we obtain the latest news, it’s transformed the way we learn new skills, and it’s empowered a generation to publish their views and expertise. But what is it that makes some blog posts stand out from the crowd? In this article, I’ll teach you how to create a blogging masterpiece. I’ll highlight what people are looking for in a blog post, I’ll give you some of the main ingredients for a great blog post, and I’ll also give you some advice on how to write your blog post. This article is the first in a series I intend to write and I will release them as an ebook at a later date, so be sure to sign up for my free newsletter at the end of this post to stay updated. Now… If you’ve got your cup of coffee, you’re sat comfortably, and I have your attention, let’s begin our journey together to develop our blogging arsenals. Before I can highlight what makes a great blog post, it’s important to take a step back and first of all understand why people read blogs in the first place. What is it that makes us read the several thousand key strokes of our fellow human beings? The answer to this question can be easily summed up in one word. When we read blog posts, we’re all seeking value. That may sound painfully obvious, but it’s a point that seems to get missed by the majority of blogs I come across online. Value can be provided through blog posts in many different ways. Some people will read a blog hoping to be entertained, some people will read a blog hoping to be educated, others hope to be inspired, and some are simply looking for the latest news. Whatever goal the reader has when landing on your blog, you have to fulfil it, if you don’t you’ve failed and you’re never likely to see that person again. With this in mind, we have our first tip laid out for us right here. Once you’ve finished your blog post, read it through, if you find yourself yawning or dreaming of cat videos before you’ve even finished the first paragraph, you’ve failed to create value. Make sure your blog post is something you’d read and share yourself if you came across it online. If a reader finishes your article and has accomplished any of the above, chances are they’ll be happy, and may even share your article with their social network or sign up to your newsletter, both of which are highly desirable outcomes. Now that you know what your readers are looking for, it’s time to look at some of the ingredients you need to throw into the blog pie to satisfy your audience’s hunger. To highlight the things I think a blog post should be, I’ve created a quick list. Original — It’s not easy being completely original on the web these days. But if you have a unique point of view, don’t be afraid to put it out there. Put your unique voice into your blog. Multi-format — No one wants to see a wall of text. Spice up your content with graphics, videos, photographs, slide shows, audio, and anything else you can think of to support your content. Targeted — When you write a blog post, you should have a clear picture of your target audience in mind. This will help you shape the tone and delivery of your blog. Easy to digest — Use graphics or video to explain complex subject matter. Sometimes text simply doesn’t cut it. A platform for discussion — Ask people to comment. A great blog post will encourage healthy debate and invite unique insights from your community. A story — If you’re able to provide a narrative or a context for what you’re writing, it will engage your audience in a far more profound way. Skim-Readable — Many people don’t have the time to read a full blog post. Make sure your key points can be derived quickly and easily. Well written — If you want people to read your articles, they obviously need to be well written. I’ll talk more about this later in the post. Structured — Don’t just endlessly ramble on, make sure there is a point to everything you write. Structure your post in a way that flows nicely and helps you put your point across. Quality — Insure everything you produce is of the highest quality your abilities allow. Don’t just rush a few words and hit publish. It’s uninspiring and will damage your reputation. If you combine all these elements into a single blog post, you’ll be well on your way to creating something special. There is something else that doesn’t quite fit on this list but still needs to be mentioned because it is extremely important. A great blog post should also include a call to action. The chances are you’re writing a blog to make money, promote a product, sell a service, or become recognised as a thought leader in your niche. With this in mind, make sure you ask your audience to complete an action that you want them to. It could be something as simple as signing up to your newsletter, or you may ask them to buy a book you’ve written. Whatever you want them to do, how are they supposed to know if you don’t ask. It’s also a great way to measure how good (effective) your blog is. If people are doing what you ask, you know they found value in your work. 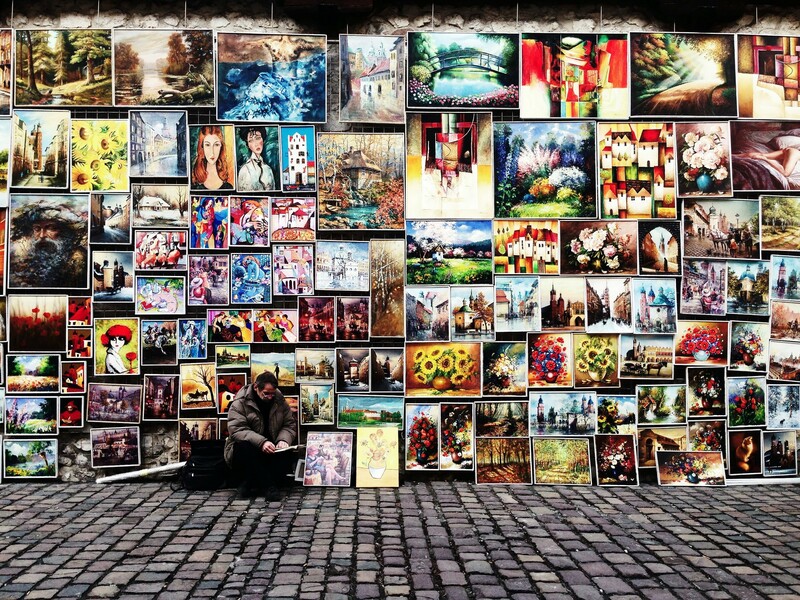 Treat every blog post you create as a work of art. A masterpiece! Don’t settle for a second rate piece of regurgitated garbage, you’re better than that. Put something out there that people will rave about. How should you write and structure your blog post? Ultimately, there is no right or wrong answer here. Some will tell you short blog posts are best, others will tell you long-form blog posts are the way to go. Some will say you have to be 100% grammatically correct, others will say they couldn’t really care less about your questionable placements of apostrophes and commas (something I’m certainly guilty of :-0 ). The correct answer for you, is simply, whatever your audience wants. If you’re writing for a largely academic audience covering serious subject matter, then grammar, clarity, and evidence based writing will probably be very important. On the flip side, if your audience is reading a daily comedy blog, then these things probably won’t be as important, and could potentially put your readership off. With all that in mind, there are definitely some things that I think you should all at least think about when creating your blogging masterpiece. If the title of your article is weak, it doesn’t matter how great the content is because most people will never read it. You’ve got one second to capture your audience’s attention so make sure your title screams at them and leaves your readers little choice but to click on your article. However, that on it’s own isn’t enough. If you want to get some traffic to your blog from the search engines, you’re going to need to research what people are searching for on Google and incorporate those keywords into your title to make sure you get some of that sweet search love. There are plenty of ways to add some spice to your titles. One great way to do this is by adding a little mystery. Here are a couple of examples. These titles highlight the benefit of the content inside the article whilst not letting on what the content actually is. If somebody starved for time or looking to drive more traffic to their website came across these titles, chances are they’ll click on your post out of sheer curiosity. There are loads of other great techniques that can be used to rouse a reader’s curiosity and I’ll write a post about this at a later date. Sign up to my newsletter for updates. I’m a big believer in keeping paragraphs short. Text is so much more digestible when it is in small bite-size chunks. Try keeping your paragraphs limited to one or two long sentences, or 5 or 6 short ones. A big block of text is about as appealing to a reader as a trip to the dentist so bear that in mind. When someone lands on your article, you have a great opportunity to build a relationship with that person. Chances are they may be new here, make them feel at home on your blog by adopting a conversational approach. In real life people tend to respond better when they’re spoken to, not when they’re spoken at. Your blog should be no different. Write your blog as though you’re speaking to someone in a regular real life conversation, your content will be far more digestible and your blog will be a more inviting space. If you have a point to make, make it. Don’t ramble on and dance around a subject. People have very little spare time these days and certainly won’t have the patience to sit and read your attempts to bolster your word count. Always opt for clarity, even if it means your blog post is a little shorter than you’d like. I’ve read some blog posts recently saying that you should avoid bullet points and lists. I think this is nonsense. Lists and bullets are a great way of condensing a lot of information into an easily digestible format. Subheadings are great because they pretty much force you to incorporate a logical structure into your content. They also steer the content you produce under each subheading ensuring you don’t drift off topic. Subheadings are also great for helping skim readers find the information they need quickly and allows them to still extract the value (there’s that word again) they were looking for. It is very important to remember that your blog posts need to be SEO friendly. Search engines can drive a huge amount of traffic to your articles if you get the formula right. Make sure you include your main keywords throughout your article (don’t overdo it though, Google frowns upon it) as this will help Google index it against the keywords you want to rank for. There are a number of other things you can do to improve the SEO of your articles such as using heading tags to highlight key words, and also alt-text for any images you may incorporate. I’ll cover this in more detail at a later date so sign up to my newsletter to keep posted. I’ve covered quite a lot in this article and have given you more than enough to go out there and create a blogging masterpiece for yourself. I hope you’ve found this article useful. To subscribe to future posts please signup to my newsletter and follow me on Facebook, Twitter and Google+. I have some exciting future releases on this blog that will massively help you get and convert more traffic on your website or blog. I’d also love to hear your point of view regarding how to create a blogging masterpiece. Maybe you have something you’d like to add to the list or have had a unique blogging experience you’d like to share. Either way, I’d love to hear from you and I promise you’ll get a response. Director of Marketing and Media Strategy at Dialect, Inc -working with some of the world’s biggest tech brands. Happy to share my knowledge.